In our daily life, we have become quite acquainted with technology and do most of our work using different gadgets and devices. At one side technology is making our life easier, but on the other hand, it is also a reason behind some serious environmental issues i.e. global warming and pollution. It is now an open secret that our earth has started to suffocate from all the pollution we are creating. Keeping in mind the repercussions of deteriorating environmental conditions, many developed countries are adopting a way to build up such technology that does not harm the environment and reduce pollution, termed as Green Technology. Finally, Samsung is getting green! Yes, the tech giants really care about this planet Earth so in order to save the environment it has announced to use only “environmentally sustainable elements”. It means the plastic packaging used with plenty of products will be changed with such material which will be safe for the earth. Samsung eco-friendly packaging is a very good initiative. Samsung has announced that it will replace the plastic used in phones, tablets and wearables for moulds and accessory bags made with eco-friendly materials. Samsung has changed the design of its phone charger in order to reduce the use of plastics. 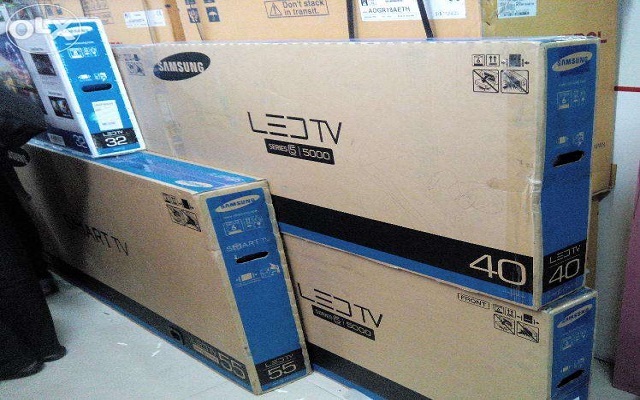 The plastic bags that are used to protect Samsung TVs, Fridge and washing machines will also be replaced. Samsung will start using paper that will be certified by “global environmental organizations” in its manuals. Moreover, this will be implemented by a special task force that will take care of design and development, marketing and quality control for packaging. No doubt, it is a very good initiative by Samsung and after few days this move will become a trend and everyone will dispose of materials that are polluting Earth. Gyeong-bin Jeon the head of Samsung’s Global Customer Satisfaction Center revealed that the company will minimize the polluted waste that it produces every year. Samsung pledges to use 500 thousand tons of recycled plastics and to collect 7.5 tons of discarded products by 2030. Samsung is easily one of the largest electronics companies, and a shift to greener packaging could eliminate massive amounts of waste.